BYO a non-YO member friend for free! You have a look at your book and your next patient is a 5 year old. You feel the sweat beads forming, your hands are going clammy. What were the norms for base out reserves again? If this sounds familiar, come and check out the YO Paediatrics Workshop! 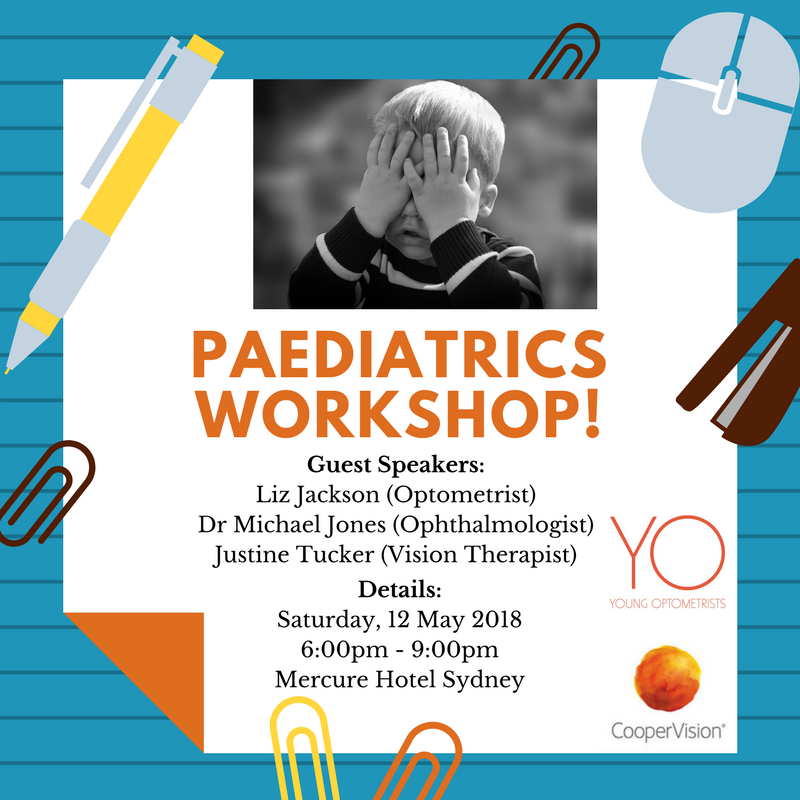 With a night packed full of wisdom from a paediatric ophthalmologist, a behavioural optometrist and an ACBO accredited vision therapist, what are you waiting for? For our Full Members, we have brought back the BYO option! Bring a friend who is not a YO member, for FREE! Note: registration starts at 6pm with the first speaker at 6:30pm.